When is that special holiday time, only the most special items can suffice. 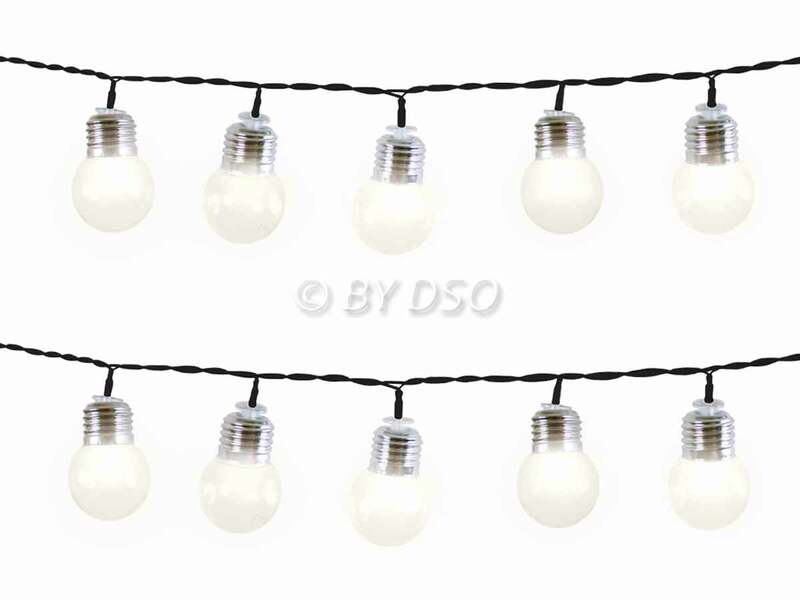 This is a set of 50 Warm White LED (Light Emitting Diodes) party string lights with a lightbulb type cover for each LED. They can be hung indoors in a window for example or outdoors along a fence or under a pegoda or other garden feature. The use of LED's mean that bulbs do not need to be replaced and they also use less energy than traditional bulbs and give a brighter light too.